5/2/17 SEARCH UPDATE: The active search for 26 year-old Karen Ramirez will resume on Tuesday – May 2, 2017 @ 9:00 a.m. This search is for Texas EquuSearch members only, and we will be in need of searchers on foot and ATVs. The Command Post will be at the Glenbrook United Methodist Church, 8635 Glen Valley Drive, Houston, Texas 77061. Please dress appropriately for the forecasted weather conditions, and some thick, brushy terrain. Frank Black is your Search Coordinator, and he can be reached at (713) 301-6813. 05/01/17 SEARCH UPDATE: The active search for 26 year-old Karen Ramirez will resume today, Monday, May 1, 2017 @ 12:00 p.m. This search is for Texas EquuSearch members only, and we will be in need of searchers on foot and ATVs. The Command Post will be at the Glenbrook United Methodist Church, 8635 Glen Valley Drive, Houston, TX 77061. Please dress appropriately for the forecasted weather conditions, and some thick, brushy terrain. Frank Black is your Search Coordinator, and he can be reached at (713) 301-6813. 4/12/17 SEARCH UPDATE: The active search for 26 year-old Karen Ramirez will resume on Thursday – April 13th 2017 @ 9:00 a.m. We will be in need of foot searchers only. No ATVs will be needed in this search. The Command Post will be at the “Church of Christ of Belfort”, located at 6606 Belfort St. @ Northdale St. in Houston, Texas 77087. 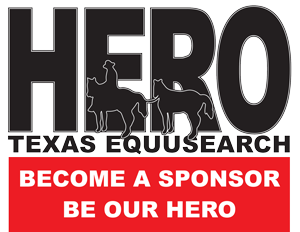 This search is for Texas EquuSearch members only. Please dress appropriately for the forecasted weather conditions, and some thick, brushy terrain. Jack Boggess is your Search Coordinator, and he can be reached at (713) 826-3869. 04/11/17 SEARCH UPDATE: The active search for 26 year-old Karen Ramirez will resume on Wednesday, April 12, 2017 @ 9:00 a.m. This search is for Texas EquuSearch members only, and we will be in need of searchers on foot and ATVs. The Command Post will be at the “Church of Christ of Belfort”, located at 6606 Belfort St. @ Northdale St. in Houston, Texas 77087. Please dress appropriately for the forecasted weather conditions, and some thick, brushy terrain. Frank Black is your Search Coordinator, and he can be reached at (713) 301-6813. 04/10/17 SEARCH UPDATE: The active search for 26 year-old Karen Ramirez will resume on Tuesday – April 11th 2017 @ 9:00 a.m. This search is for Texas EquuSearch members only, and we will be in need of searchers on foot and ATVs. The Command Post will be at the “Church of Christ of Belfort”, located at 6606 Belfort St. @ Northdale St. in Houston, Texas 77087. Please dress appropriately for the forecasted weather conditions, and some thick, brushy terrain. Frank Black is your Search Coordinator, and he can be reached at (713) 301-6813. 04/10/17 NEW COMMAND CENTER: Our Command Center has moved to The Church of Christ at Belfort, 6606 Belfort at the corner of Northdale, Houston, TX. 04/10/17 SEARCH UPDATE: The Houston Police Department has asked for our immediate help in the search for Karen Ramirez The search will be starting this afternoon, Monday, April 10, 2017 – call out is being sent now. The search Command Post will be at the Kroger parking lot at the 6200 block of Telephone Road at Belfort, Houston, TX 77087. We will be in need of searchers on foot and ATVs. Please dress appropriately for the weather and brushy terrain. 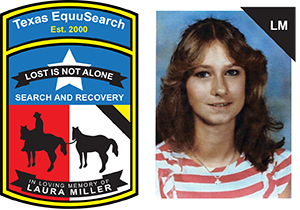 THIS SEARCH IS FOR TEXAS EQUUSEARCH MEMBERS ONLY. Your Search Coordinator is Frank Black, and his number is (713) 301-6813. Thank you for your help. 26 year-old Karen Ramirez was last seen in the southeast part of Houston, Texas on the evening of March 24th 2017. It is unknown what color, style or type of clothing that Karen was wearing. The vehicle in which she was driving has been recovered. If you have seen Karen Ramirez since her disappearance, if you know of her current whereabouts or if you have any information concerning her disappearance; please contact the Houston Police Department at (713) 308-3600 – or call Texas EquuSearch at (281) 309-9500.